Hi! It's Jilly. Have you ever been berry picking? Here in New York there are different berries ready to be picked all through the summer. This year we went blueberry picking with some friends. We've picked strawberries and raspberries before, but never blueberries. It was a lot of fun! I love berry picking. It just feels like one of those perfectly summertimey activities! 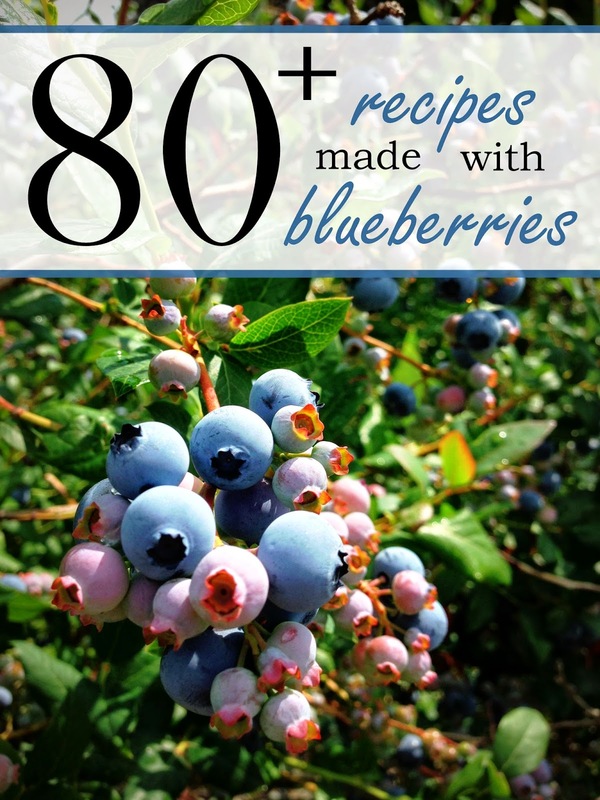 We picked a lot of berries, so I put together a list of 80 awesome blueberry recipes to make with all our sweet berries. Unfortunately, the kids ate all the berries before I was able to use any of these awesome recipes!! But, that's alright. Now I just have a great list of recipes to pin for next year's berry picking, right?! Did you go berry picking this summer? What's your favorite thing to make with blueberries?